Hold on just a minute... April? Is it just me, or is this year zooming by? Slow down just a little 2014, I'd like a little time to stop and smell the flowers. Speaking of flowers... is there anything quite as lovely as a bunch of tulips to announce that Spring has arrived? We're not quite into tulip weather just yet... at least not outside, but I've been seeing bunches of tulips popping up all over instagram brightening up the indoors with a splash of pretty colour. As for me, I've been making my own tulips this year. 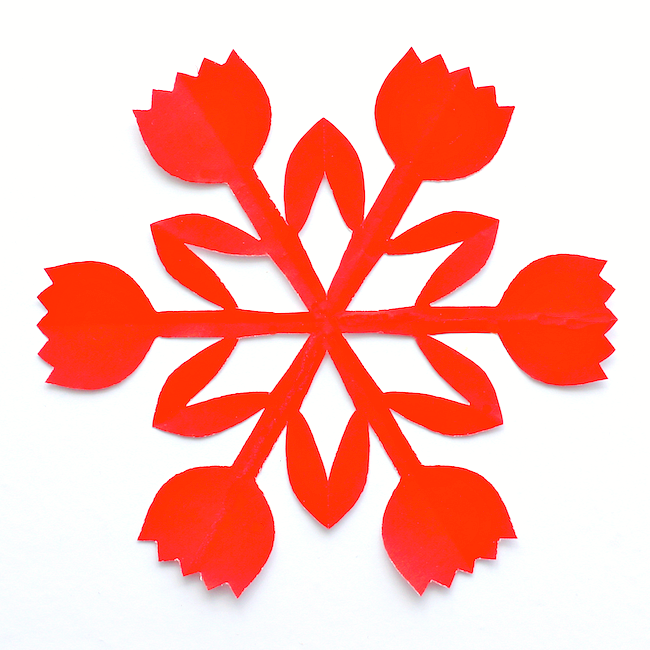 The nice thing about paper tulips is that you can craft them up all year round - no watering necessary! I love how graphic a ring of tulips is. I picked a nice bold red since March was all about soft colours, but these would be lovely in any shade - just like real tulips. 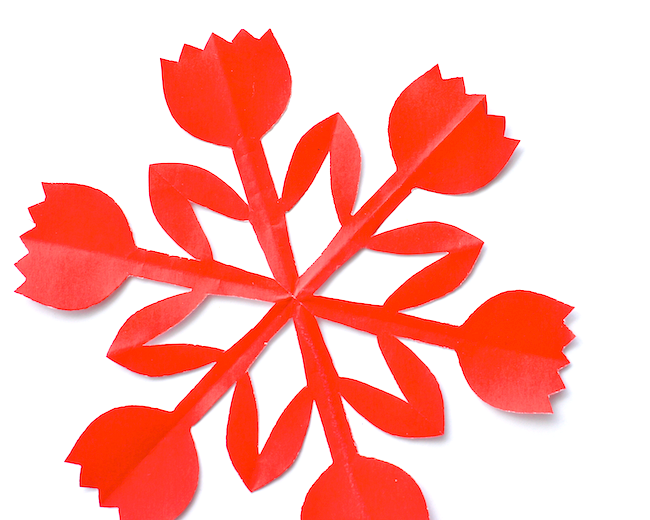 To create your own ring of Tulips, use the template below and the 6-point folding pattern. 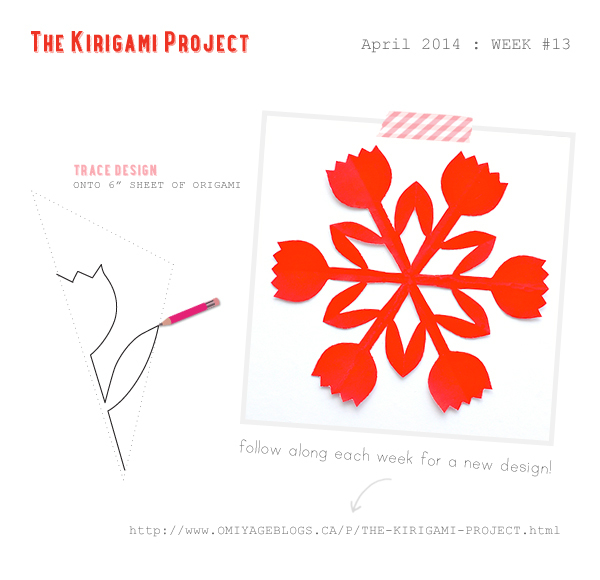 If you create your own kirigami Tulips, we'd love to see them over on Instagram. Tag your shots with #thekirigamiproject. See you there! Find me here.